Good evening, finally had time to watch them all so thats why this one came pretty late, but better late than never right? Everything was goddamn predictable, i see everything coming from a mile away, but it was pretty enjoyable and this ep alone is enough to go into a dilemma over best girl… But the storyline is enough to captivate me to watch on. SAO font used was actually a bad decision, horrible one, damn you A-1. Voice acting were nice, the cast list is pretty welcomed, anime logo is pretty epic. Somewhat better, the comedies starts to come in and story is slowly picking up. OP and ED were pretty epic, love them. Animation quality i would say its one of the best from A-1, might be even better than SAO. Surprising. Ono Manabu better do something about the plot, or else you might even consider prematurely cancel your 2nd season slated to air next year, Owari no Seraph strategy dont always work you know. Most probably will not drop this one, no matter how boring it gets. Looks promising, the girl was a turn off tho, this ep didnt bring much yet, so cant really write much, it was a very slow ep. OP and ED are both pretty nice. Voice acting i would say average, cant really feel it. Ok, picking up, but still not enough. J.C.Staff is getting disappointing, from Danmachi, now this, i know you have 24 eps, but that doesnt mean you should drag it so much that the whole ep felt like an hour. Looks like this might be J.C.Staff next flop work in their portfolio. Will not drop this, for now. Can never get enough of this, its like your weekly medicines for a bad week, nothing much to write, just enjoy every single ep. Only 1 ep for this one. So far so good, didnt expect Silver Link to have artworks like this, first time seeing them doing that, but i love it. Didnt expect much from ep1 but i kinda laugh quite a bit, not bad, hopefully this wont go generic and stays this entertaining. Wait, dejavu. 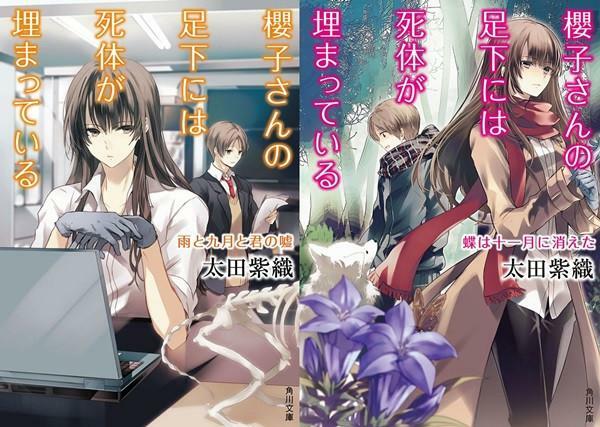 Oh its the less modern ver of Asterisk. Fiery female MC, sword fighting, pantsu entrance. The similarity is just there, but this one is less predictable. Not bad. Surprise, Silver Link is animating this, but the quality is pretty mediocre even with Nexus helping out, maybe they invested more manpower into Shomin Sample. Voice acting is pretty good, cast list is pretty unexpected for me. But it is enough to pull me in, it brings a lot of things into the plate already. Ito Shizuka’s voice here is damn charismatic, the storyline is also very unique, the quality Troyca gave is also pretty epic. Cant wait for more. Surprisingly cute, funny and short. Only 15mins in each ep, it feels rather incomplete but woah the comedy levels is seriously something you dont see everyday, the stupidity is also out of this world. Will legitly enjoy this. They retained the cast and Production I.G became in charge, not bad. Best girl this season has decended. So much things happening already. The comedy that is only unique to Utawarerumono makes a comeback. I miss it a lot. Same old amnesiac plot doesnt make it feel bland. Voice acting were excellent and the cast list is pretty good. The story picks up pretty quickly. Nothing much to write because of the amount of mysteries the guy have. I can be pretty patient with this anime, because it was the same feel with the first season. OP and ED were pretty addictive, Suara is back again. Spoiler or not: Did you know that Kuon is actually Hakuoro and Yuzuha’s daughter? Ah, the slice of life feel, the stupidity comedy. I miss it and now my withdrawals have stopped. The yuri element has became more and more prominent and they are more daring to do so now, maybe because the studio change. Its obvious, TYO’s quality is really damn good, Dogakobo should be ashamed. The characters for some reason became more cute even tho they looked pretty much the same. OP and ED were decent, but i still miss the S1 music feel. Same old cast so nothing much to write. And he’s back… or should i say not really, its a time travel back in time when he was still an intern. Already had his first op in this ep. Cant wait for more. Voice cast changed, but this is still comparable towards the good ol’ times series. A bit confused about this one, but still went back on track after awhile. 2nd op and its a heart transplant, damn, its progressing pretty well. Its finally back after being on hiatus for the summer season. I kinda forgot how it ended the last time. Same cast, same old Sawano Hiroyuki. Hopefully this one would pay back for the mediocre plot that S1 has given us. So far nothing much has happened for this ep, hopefully it escalates fast next ep. This wraps up my lengthy first impressions. Sorry didnt post much this week again, but imma post OVAs and movies next week. 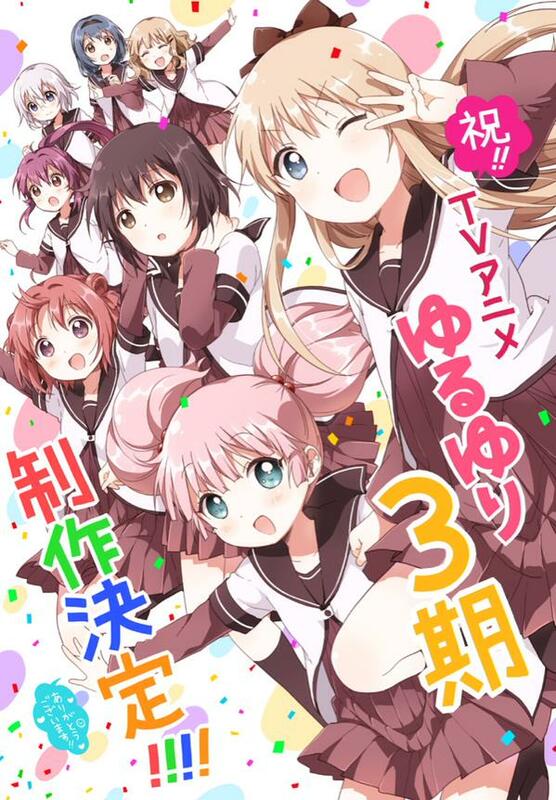 I’m glad to see Yuru Yuri is still going strong with its third season, and with a studio change, as well. The series easily is in my top five of favorite slices of life. Wow, Mirror. You seem to like most coming out this season. Haha, It didn`t really peak my interest. How long, will you stick it out? Not trying, to put you in your place or anything. 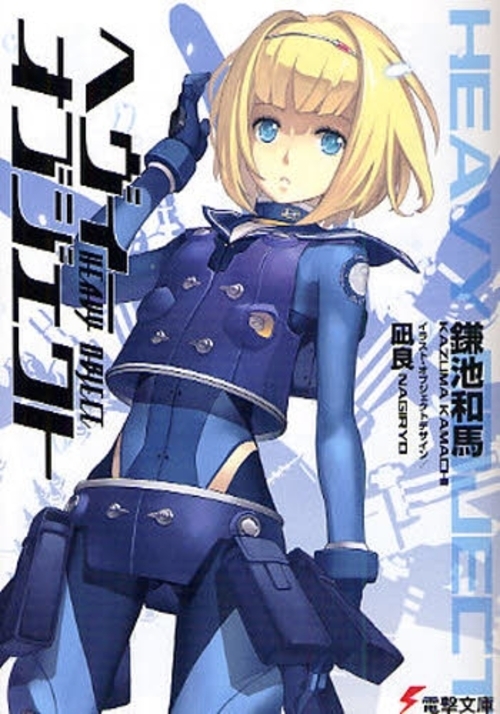 “HEAVY OBJECT” lead producers aren`t, J.C STAFF. Though, on the production committee, they are below the list. Which has no connection to the writers & directors. In this case, they are merely animating & putting some input. Though, I do agree that what they tend to accept to animate for pay. Is either good or bad. J.C, is just animating. Not sure, if they ever led producing an anime. I Thought people loved, “Danmachi”. Ah, however you feel, Mirror. You call the shots. I meant in your own blog, lol. That’s not nice. Looking forward to a better Seraph this time around, fingers crossed. So far, I’ve heard decent things . . . .